One of the most rewarding parts of Dr Sohair Wastawy’s job is to stand by the door of the new national library. She likes to watch the awestruck look on visitors’ faces as they see the magnificent building for the first time. 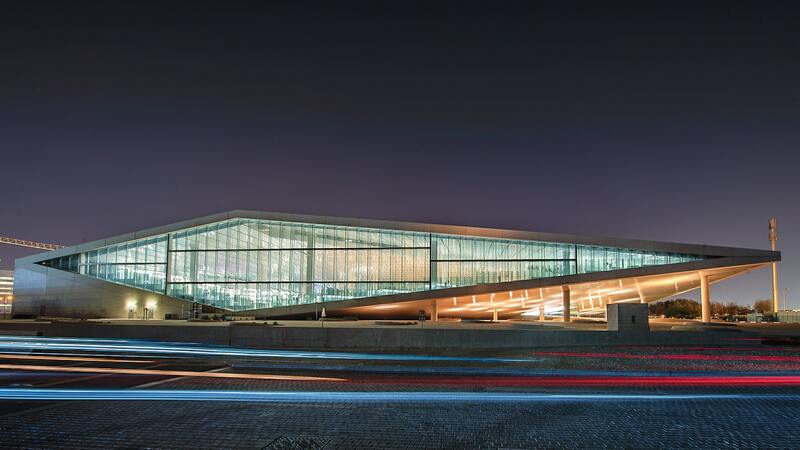 Indeed, as Executive Director of the monumental Qatar National Library (QNL), a member of Qatar Foundation, Dr Wastawy oversees a world of dreams. “The first time I walked through the building, I could tell this was going to be more than just another library,” she says. “It’s an incredible building, designed by the famous architect, Rem Koolhaas, and it has a very different feel from a traditional library. 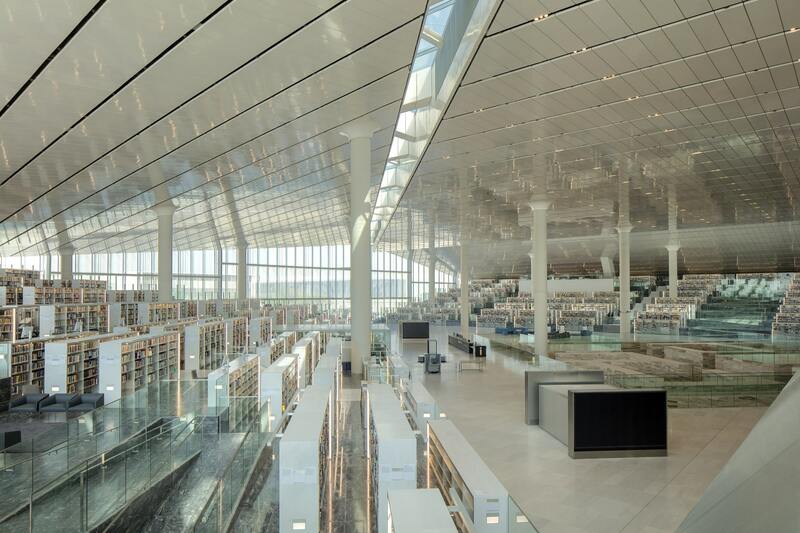 So what makes the visionary new library in Doha’s Education City so different? “Most national libraries are not open to the public in the manner of this library,” explains Dr Wastawy. Its mission is to spread knowledge, nurture imagination, cultivate creativity, and preserve the nation’s heritage for future generations. A tour of the gleaming library reveals a multitude of quiet corners for reflection and an interactive children’s library, full of brightly-coloured toys, alongside treasured heirloom volumes and stacks of academic works. QNL is truly a library of the 21st century. This is reflected in its floor plan, services, collections, and mission. We offer hundreds of public events, from early literacy programmes to knitting groups to orchestral performances. Public computer workstations, performance spaces, and a cafe complement the world-class literary collection. The building also houses a world-leading collection of Islamic literature and antiquities, a rich heritage now protected for the nation. Well-worn first editions of pivotal works sit alongside early versions of European fairy tales and rare Islamic books. You could lose hours quietly browsing the shelves, dipping into old volumes. In contrast, the digital facilities and technology are cutting edge. An online portal allows users to access the library remotely, while a book club for the blind supports people with visual impairments. Having spent most of her career in academic libraries where there is a sole mission and a single erudite audience, the breadth of her new role has proved inspirational for the director. Of course, there have been some challenges along the way. “The most challenging part so far has been working out the details that you only notice once the library is open to the public,” she says. “We have been planning for this opening for years, working with some of the world’s experts in a range of related fields, but you never quite know how people are going to react. So we’ve had to make some adjustments in terms of space use, event offerings, and so on. Since opening in November 2017, the QNL has hosted more than 100 events. Dr Wastawy finds it hard to pick a favourite. “The early literacy programmes, of course, are wonderful, because you can see a love of reading develop before your eyes in children who are going to enjoy books for the rest of their lives,” she says. “It has also been great to see adults come back and rediscover their own love of learning, whether through book discussions, computer classes, or photography workshops. 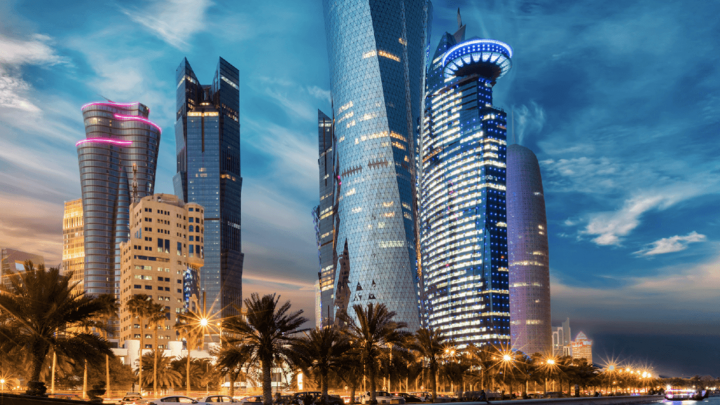 She adds: “QNL gives Qatar’s community something it has lacked: a welcoming, inspirational place where individuals and families can come to learn together and have fun. Already, we’ve welcomed more than 150,000 visitors, and our members have checked out more than 300,000 books. Certainly, it is hard to imagine a job more satisfying.